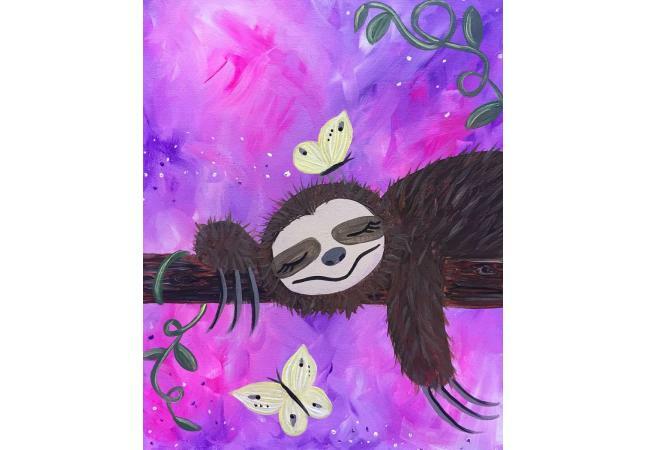 Who can’t relate to this sleepy sloth?! Naps are my favorite and to have butterflies lull me to sleep, yes please! 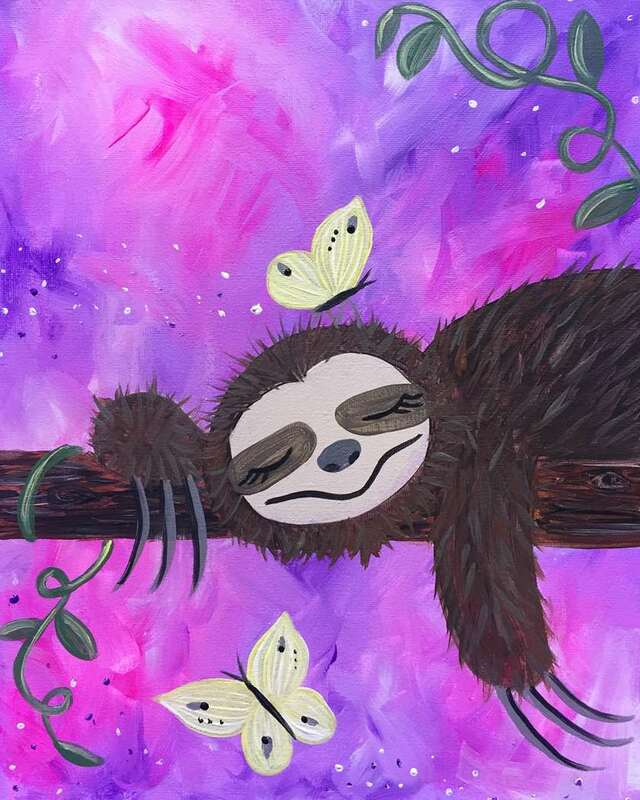 Sign me up to be a sloth...after I paint this cute momento sipping on my favorite beverage.